Note: This method works on the latest firmware only. You can change the PBX setting using the web interface. 5. Change switch to the "Real Timer" tab. 6. 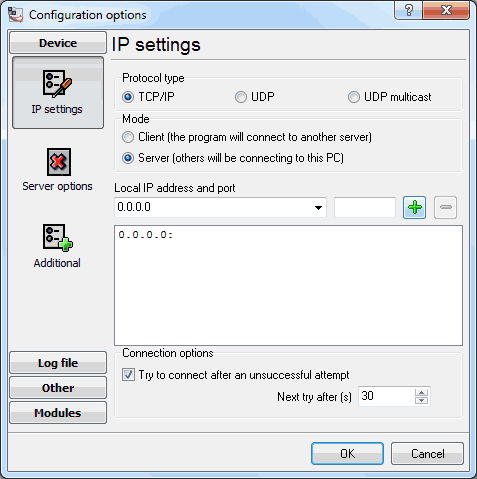 Specify the IP address/port of the computer with Advanced PBX Data Logger (for example: 172.16.135.23 and 7777). You need the static IP address on this computer. Advanced PBX Data Logger should be configured to the TCP server mode and listen on 0.0.0.0:7777 (see below). The port number should match the value from the SMDR settings in Grandstream UCM6200.